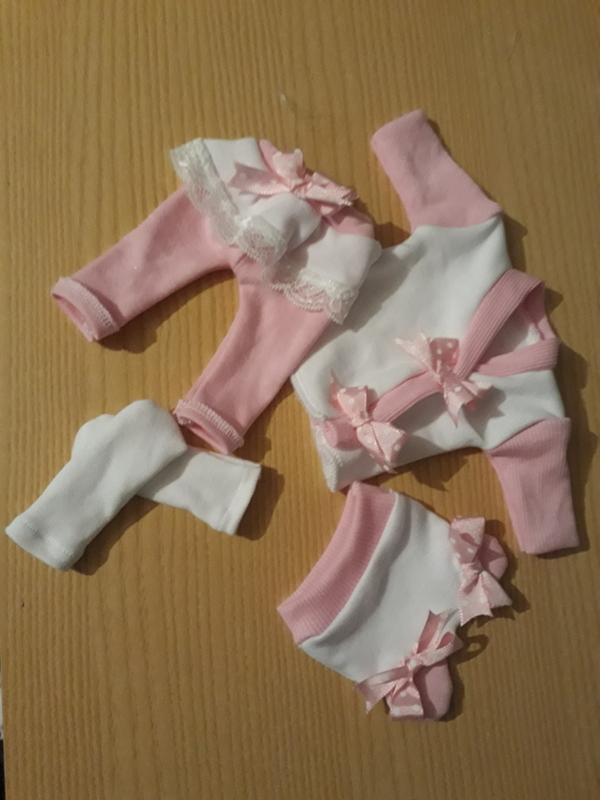 stunning girls stillborn baby clothes for your little daughter.pretty in pink,in girly girl style and white with polka dot bows.she will look just like a little princess snuggled close for family cuddles settled in comfort as its a complete set clothes. dressing her from top to toes.handmade in the uk by Something Precious TM, close attention to detail comprising of little socks to keep her toes warm, a soft teddy bear ears hat for her head, leggings with skirt frill and a wrap over top for ease of dressing. sleeping in peace ever so soundly. click the order button just below to order this pretty little outfit. please allow 1 extra day for despatch due to being handmade to order.